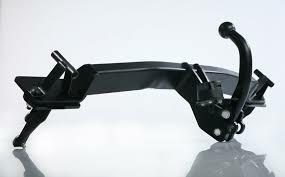 The Bosal 038321 Standard Swan Neck Towbar is the most popular type of tow bar sold at the moment, due to its looks and easy use for trailers, caravans and cycle carriers. The Tow ball is integral with the car and cannot be removed without the use of tools. It uses tried and tested technology of the highest standard. The electrics are usually mounted underneath the bumper and not on the side like flange tow bars. This tow bar comes complete with all the fittings you will need to fit it to your vehicle, The only thing you will need to add to this bosal tow bar kit, is the electrics. All Bosal tow bars are protected from corrosion by a high quality paint finish.